Why am I talking about CNN’s? I will get there, but first some background. 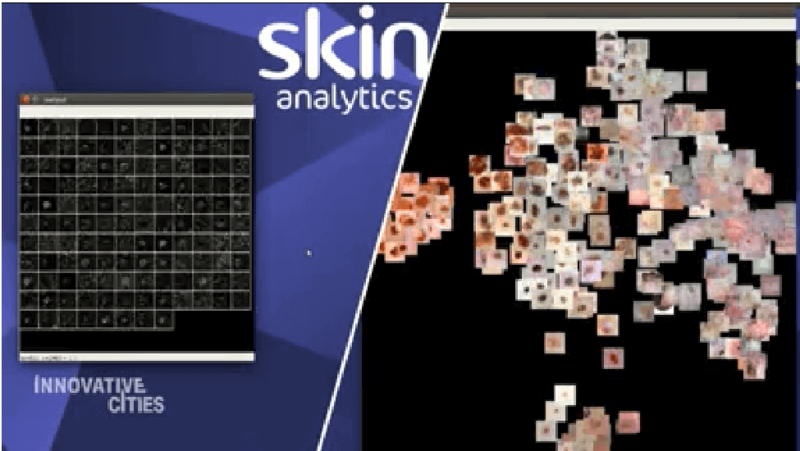 Recently Skin Analytics was awarded a place in the NHS Innovation Accelerator (NIA). This is something that we are particularly proud of as it recognises our commitment to use cutting edge technology to improve patient outcomes. Being a part of the NIA is valuable in and of itself because it helps us to gain a better understanding of the needs of the dedicated health care professionals working within NHS. That understanding is crucial for us as it allows for us to better design our AI to have real clinical utility. We had our heads down refining our AI to meet those needs when we were asked to talk to CNN. Having some rather smart people at Skin Analytics means that we did not get confused about our CNN’s. We immediately knew that CNN was the hugely reputable (despite what President Trump says) American news network. Having CNN come out and spend time with us was very exciting, if a little nerve racking. They asked us some very insightful questions and I believe that we responded with some well thought out answers (unlike the aforementioned President Trump). Personally, I think that Neil did a great job in representing us to the world. And that is is just as well really as it is his company and that is his job. So how did it all end up? See for yourself! I think that CNN did a great job in explaining how we do things and why we do them. Appearing on CNN is a huge honour but that is not why we are so excited about it. We are excited because it helps to get our message out. It is a simple message really: We want to help more people find skin cancer earlier so that skin cancer survival rates improve.